Citizens from different platforms say that they “started a pedagogical campaign” with which they want to explain to the population the need for that type of vote. 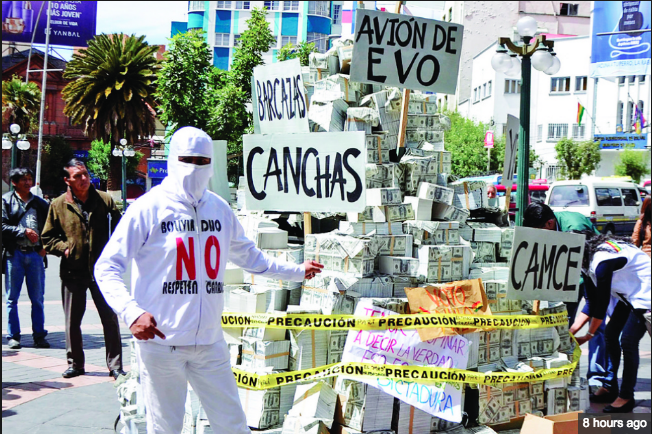 Activists of the Citizen Movement yesterday armed a “mountain of corruption”, in which they exhibited banknotes and signs of scandals sounded and controversial issues that were generated during the Government of Evo Morales. “The Citizen Movement has started a mobilization with a different character to call the null vote on December 3,” said academic and activist Guillermo Mariaca, who explained that through this “artistic work” the people of La Paz are taught the situation policy that is being lived in the country. The members of different collectives met in the Prado of La Paz, where they built the work: a mountain of banknotes, in which in turn there were signs of cases such as the Indigenous Fund, Barges, CAMC, among others. The activists explained that the mountain of money, three meters high, “symbolizes the billions of dollars squandered or stolen in this ‘lost decade'”. With this activity -they said- a sui generis campaign of “political education” was launched, in order to explain to the population why it is important to vote null in the next judicial elections. According to the mobilized, there are more than 20 citizen platforms that seek to inform citizens about their right to vote null. “We are exercising that right that the Political Constitution of the State gives us. We express our disagreement with these fake elections, that is why we call without any fear to vote null, “explained activist Manuel Velázquez of Una Nueva Oportunidad. 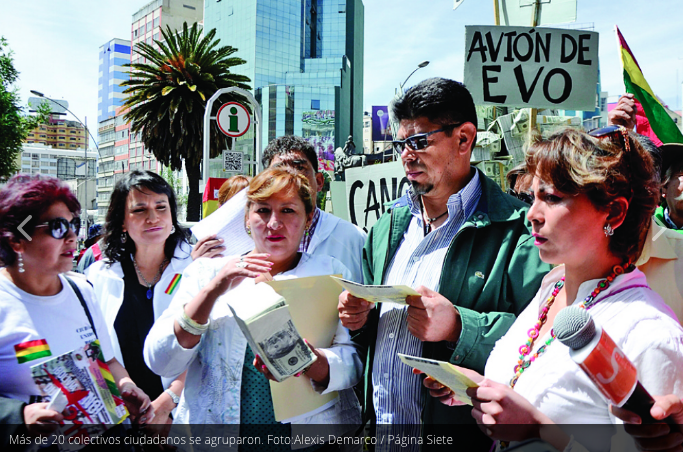 The activists stressed that they do not agree with the judicial elections. “These elections are rigged and our vote does not make any sense, because justice will not change with these elections,” Velázquez explained. Mariaca added: “the Government during these years has been permanently campaigning and we now see to start a campaign, but unlike the Government, which promises synthetic grass little soccer fields, we promise minimum of conscience”, so the activist said they will take this “artwork” to different strategic points of the city in order to explain to the population the reasons for voting void. Bolivian Thoughts opinion: I love my Bolivia! We’re starting to fight for our country, to restore our democracy and Republic!